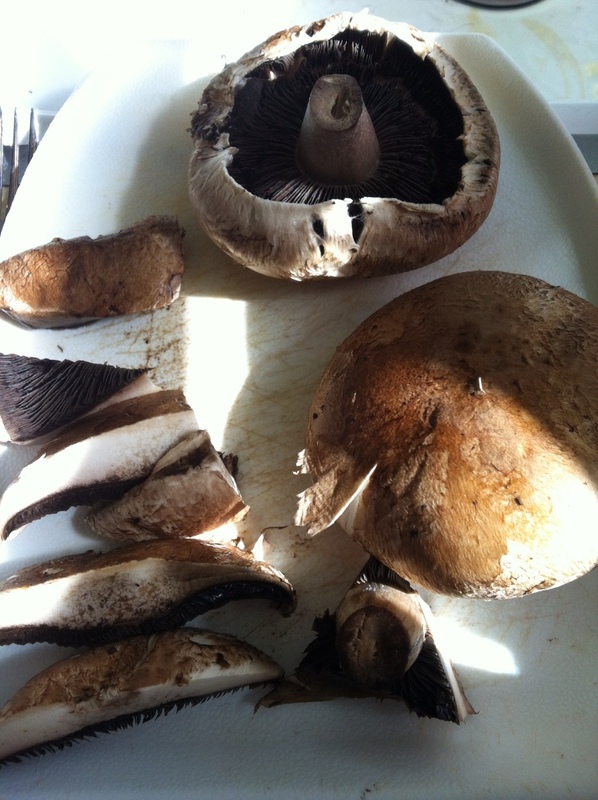 Included in my box of organics last week was a package of portobello mushrooms. I looked online to get some ideas for a different way of cooking them and found this recipe by A Cozy Kitchen. Of course I made some changes to it to fit my eating style and here’s what I came up with…. One a plate mix all dry ingredients together. Preheat oven to 400 and line a banking sheet with parchment paper. In a small bowl beat the two eggs. Clean mushrooms and remove stems. Cut each one into 1/8 inch slices. 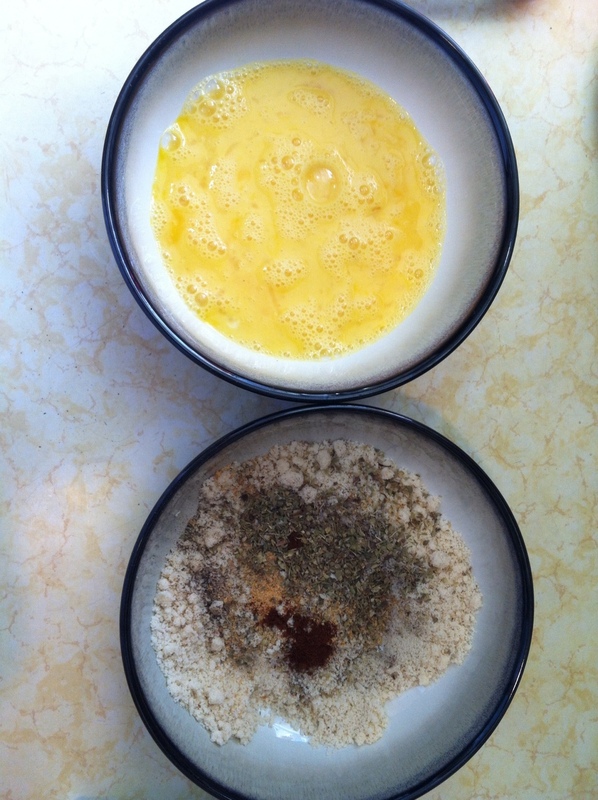 One by one, dip the portobello in the eggs and the almond meal mixture. Make sure to coat the mushrooms thoroughly. 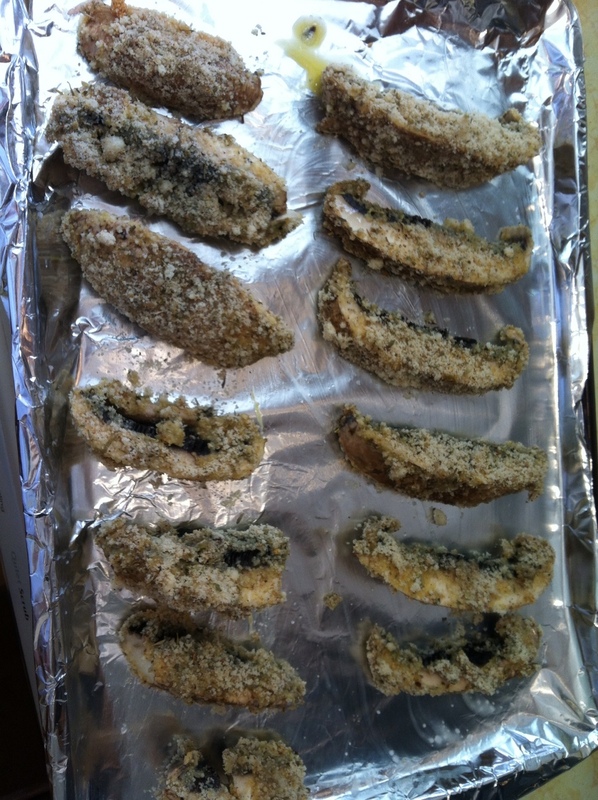 Place them on baking sheet and bake for 10-15 minutes. Flip the mushrooms halfway and checking them after 10 mins. I love mushrooms, especially breaded or deep fried and these look delicious. How were there? They were really good and if you like things a bit spicy try adding some cayenne to the dry mix!